Not all frozen margaritas are created equal. 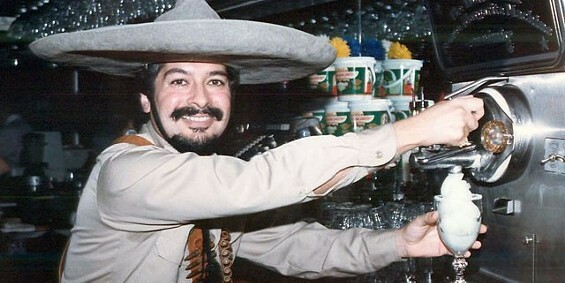 In fact, whenever a bartender serves a frozen margarita around the world, its origins can be traced back to Dallas, Texas. This story begins with a high school dropout who had dreams of opening his own business. With $500 in hand and a small business loan, Mariano Martinez opened Mariano's Hacienda restaurant in East Dallas. While the smell and sizzle of the grilled fajitas and the fire-roasted salsa kept hungry guests coming back for more, it was the margaritas that brought them back for a second round. Guests raved about 's margaritas except for one very important detail: the consistency. His bartenders simply couldn't keep up with the growing demand that left some perfect, while others were melted down. Martinez knew he had to come up with a solution. His a-ha moment came to him during a morning visit to 7-Eleven for a cup of coffee. Low and behold, it was the Slurpee machine that sparked the idea that will live on forever! 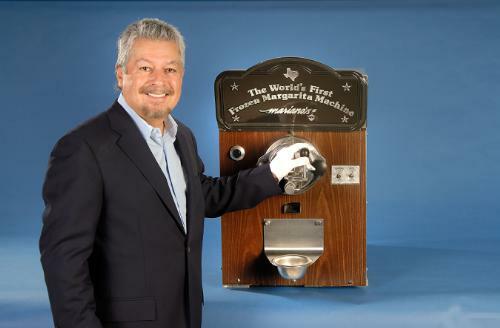 Martinez and a friend, Frank Adams, tinkered with an old soft-serve ice cream machine until it resulted in a frozen margarita that was served to perfection with every pour. And just like that, the world's first frozen margarita machine was born! Today, the original machine can be found at the Smithsonian National Museum of American History. Want to get a taste of history for yourself? Raise your glass high to the legend that lives on today at the original Mariano's location. Visit the original restaurant where you can enjoy delicious Tex-Mex cuisine and of course, one of the famous frozen margaritas. But Mariano's isn't the only place to get a hold of your favorite tequila-infused concoction. Here are a handful of other locations in Dallas where you can enjoy one of the world's most coveted cocktails! Meso Maya provides a dining experience filled with fresh, earthy and bold flavors that are the heart and soul of Mayan and Mexican cuisine. Founded in 1918, this Dallas staple was the originator of "Tex-Mex cuisine" and continues to be a fan favorite. This family-owned restaurant specializes in Mexican seafood with a little Tex-Mex mixed in. Mesa offers traditional coastal cuisine with fresh flavors straight from Veracruz. Mi Cocina serves up traditional Mexican dishes paired with a warm and friendly atmosphere that makes it feel like home. This laid-back Mexican eatery is where you need to go for sizzlin' street-style tacos, tasty margs and a fun outdoor patio. Komali is the spot for contemporary Mexican food that mixes traditional Mexican flavors with modern, innovative touches.